Restaurant and lounge bar “SOPHIA” gathered in itself the best traditions of European, Italian and Mediterranean cuisine. Cozy, friendly atmosphere and decent service. 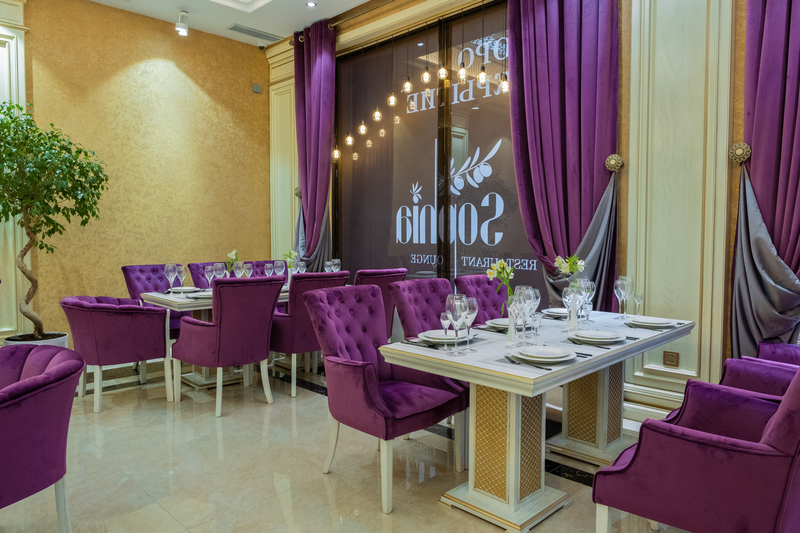 All of the above and an affordable price level allowed our restaurant to be on the list of the best restaurants in Samarkand. The secret of popularity is simple – having been here once and having experienced warmth and hospitality, a warm welcome and caring service, guests will certainly come back again and recommend “SOPHIA” to their friends.